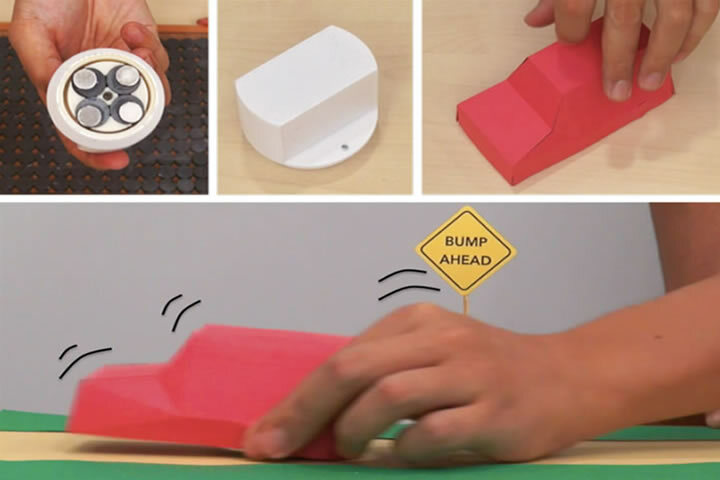 Y. Kentaro, Y. Katsumoto: Bump Ahead: Easy-to-design Haptic Surface using Magnet Array. ACM SIGGRAPH Asia 2015 Emerging Technologies, November 2-5, 2015, Kobe. © 2015 touch100.org All rights reserved.